Is your new home situated in your idea of Wonderland ? So you’ve made the big decisions and started jumping through all the hoops on the journey toward a mortgage and a new home… how do you go about using the ‘Looking Glass’ of technology as well as the more old-fashioned methods to narrow your choices and help yourself decide which property to go for? There are all sort of ideas out there, and for this biggest financial decision of your life you will want to be as well informed as possible before you sign on the dotted line….. after all, you don’t want to find yourself in the midst of the Mad Hatters Tea Party! Do you have a car? Better drive there and see how it is to get to – and park at! Do you walk or use the bus? Make a reconnaissance trip to see how the services work and how steep the hills are https://www.plymouthbus.co.uk/timetables/ will give you timetables and maps of City bus routes. How does it look, actually on the ground, for getting your bike in and out, and how is the route perhaps for getting to and from work? What will be your ‘pattern of life’? Are you a daily commuter, or is the school run important to you? As you narrow down your final list of properties make sure you visit and travel and park at the relevant times. Use Google Maps and Google Earth to weigh up the layout, and don’t forget Streetview, which allows you to virtually ‘drive’ up and down, zooming in here and there. Look up the street, area, house name or other relevant details on a search engine and see what come up. Are local shops important to you? And are the shops nearby going to be a plus or a minus in your choice? You might love a good takeaway but cooking smells can be a nuisance – again, think about when you visit. Also at the relevant times, go and sit in your car or a local café or pub, and watch awhile; get a flavour of the locale, see what makes the place tick. A place can be very different at 10 am and 10 pm. Does it work for you? Don’t be the person who loves the cottage beside the old church – until Sunday morning comes and the bells start ringing…! How does the local school work for you? They can be very busy and noisy at certain times. Equally you may well WANT to be close to the school. Visit and take a look at the exterior when you’re NOT expected. Clean and tidy bodes well for good overall maintenance. Spend some time waiting and watching – before you spend your money. Check out the school or college that interests you for your family, see how it scores, and arrange a visit. In today’s world you might well be looking for a home that can carry the kids right through school to College or Uni without them having to (expensively) leave home; Plymouth and Falcon’s main coverage area are excellent for this. Take a look at https://reports.ofsted.gov.uk/ for OFSTED school reports. And, of course, the website of the school concerned! Nothing beats word of mouth for finding out what an area is like; talk to someone who lives locally and see what they think. Falcon may be able to put you in touch with someone with good local knowledge who can give you the lowdown. Don’t be afraid to knock on the neighbour’s doors; after all, you’re going to spend a great deal of time next to them if you move in! The things about stats is to interpret them; it would be easy to take a bleak outlook about crime when the reality is that crime is very low. But here are some ideas https://crime-statistics.co.uk/postcode Enter the postcode and all recent reported crime in a 1 mile radius is displayed. But remember – a 1 mile radius means a two mile wide circle in a city area that means a LOT of properties! Our 21st Century world needs ‘connectivity’ for our internet and information society; chances are that a city location will be easily connected but you may well still want to check out signal strengths and future plans – especially as you move further away from town. www.checkmystreet.co.uk will tell you from a postcode entry all sorts of info, from train and bus connections to local broadband speeds and crime stats. Flooding is increasingly important; if the property is low-lying, or on a hill down which rainwater flows copiously, you might do well to weigh up any downsides to heavy rainfall. And if you get a chance to take a look in the poring rain, that’s good! You can check out the gutters, downpipes and drains! http://www.checkmyfloodrisk.co.uk/will show you easily a risk assessment for your proposed area. * Helping prospective buyers find their next home. * Looking after your data base of prospective buyers, speaking with them on a regular basis and matching them with suitable properties. * Speaking with potential sellers and arranging appointments for our valuer to visit them. * Occasionally carrying out accompanied viewings with purchasers. • Negotiating property Sales, liaising between vendors / purchasers. • Working closely with your colleagues , sharing information to secure additional business. • Liaising with Solicitors, Mortgage Lenders and Surveyors as part of the Sales Progression process. • Some Estate Agency experience. • A good level of commercial awareness. • Able to work to goals. • A willingness to go the extra mile. • A full UK driving license. Ian Drury once sang that ‘Reasons to be Cheerful are One, Two Three!’ - but we can beat three when it comes to reasons to be cheerful about living in Plymouth! ‘It’s elementary, my dear Watson!’ is a much-loved line from the best Detective fiction in the world, and a couple of The Elements make a good starting point for this compilation. 1. 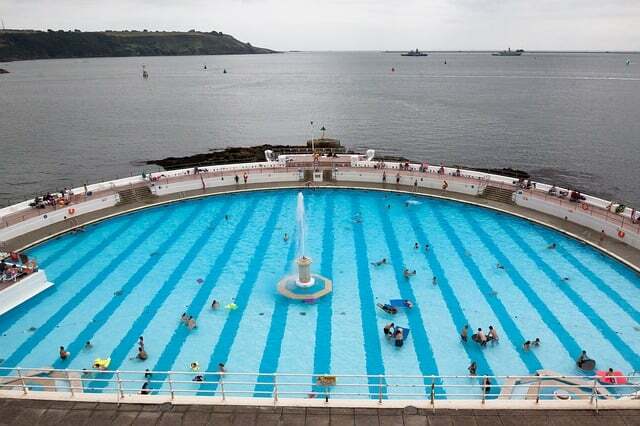 If there is one thing that characterises Plymouth, it is water! 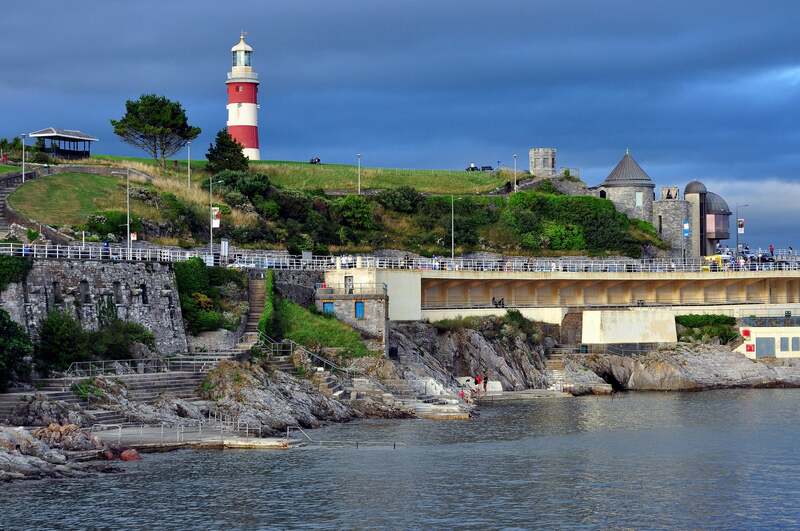 Plymouth exists because of the sea and it’s reach out to the Oceans of the World is what made Plymouth great – and it deserves the moniker ‘Britain’s Ocean City’! The fresh salty air is simply delicious and the activities that the water offers are world-class – whether you want to watch international yachting or powerboating, or get onto or under the water yourself. You can enjoy the rivers that flow from Dartmoor, or within half an hour be beside a Moorland lake or stream. Few places offer the ability to be in a city yet so close to the H2O factor – and time spent by or on the water is never wasted! 2. Look down. See those two things on the end of your legs, standing on the earth? Have they taken you for a good walk lately? Well, if you are around Plymouth you are in for a treat – because if you now look up, inland behind the city, you can see the magnificent rolling hills of Dartmoor! You will also find the South West Coast Path (around 700 miles of it if you feel fit) and a host of paths and tracks to get out and enjoy. And it’s not just the walking that is so good – this is a cycling Mecca, and it attracts major events and is ripe for you to explore. 3. Did we mention a literary connection? Well, Doctor Watson – in his real-life persona as Dr Arthur Conan-Doyle, lived and practiced in the city. Wander down Durnford Street and find many quotations embedded in the pavement, or up to Princetown to see the inspiration for The Hound of the Baskervilles. 4. Connection of a different kind happened in 1620 when the Mayflower stopped in Plymouth before heading to America with the group who became known as the Pilgrim Fathers aboard. Millions of Americans claim a connection to those brave souls, and in 2020 a major world event will commemorate that one of many moments when the course of history flowed from Plymouth. 5. History around Plymouth is incredible. Get a sense of Drake on the Hoe or in a narrow cobbled Barbican street, see the majesty of the Royal Citadel and grandeur of the Royal William Yard; take a cruise past the Dockyard (few are older or larger). There are superb museums (many in the course of major improvement) and old houses, and not far away you can find Drake’s Buckland Abbey or the Georgian finery of Saltram House. 6. Go to France! The son of a Frenchman, Isambard Brunel, designed the docks at Millbay, and today from here you can catch the Brittany ferries services to France and Spain. Extremely popular, these high quality ferries allow you to set off in the evening, enjoy authentic French cuisine and a comfortable cabin, and be enjoying your morning coffee in Brittany! 7. It’s easy to complain about travel services, but actually Plymouth is well connected. Sure, there are improvements in the pipeline – but road and rail work pretty well into the City, and air at Exeter or Newquay is only an hour or so away, comparable to many other cities. 8. Food and Drink in Plymouth is a revelation, and you can eat ‘around the world’ at the incredible range of cafes and restaurants that the City has to offer. Many use fresh seafood that has been landed at the Plymouth Fisheries in Sutton Harbour. Whatever your taste, you can find it in Plymouth. If you’re thirsty the City offers a huge range of pubs and bars; don’t miss the cosy traditions and superb beer of The Dolphin, the cocktails of the Gin Distillery or Tigermilk, and the classy nightclub style of Annabels. 9. If culture is your thing, and you love a good West End show, you’re in luck – Plymouth’s Theatre Royal sees many of the big productions as they gear up for London. Musicals, Ballets and plays are all here. And not just here! The Barbican Theatre is always busy, and there is a vibrant Arts scene, on stage and in galleries. Music, comedy, a Blues festival, outdoor theatre and cinema – there’s a great deal more going on around Plymouth than you might realise or expect! 10. If retail therapy is your thing, Plymouth has a large, top-class indoor mall and packed main-street stores all ready for you. But it also has smaller chain and independent shops spread around the City; look in Ebrington Street, around Frankfort Gate, and especially along Southside Street and The Barbican for unbeatable smaller shops and galleries. Plymouth is home to a thriving University, many major employers, and excellent schools. The housing stock is extensive and suits all tastes and pockets. It is a real ‘fresh air, blue sky’ city, never far from the kind of spots that you go abroad on holiday to find; Plymouth lets you live your life in as close a way to being on holiday as you’re likely to find anywhere! 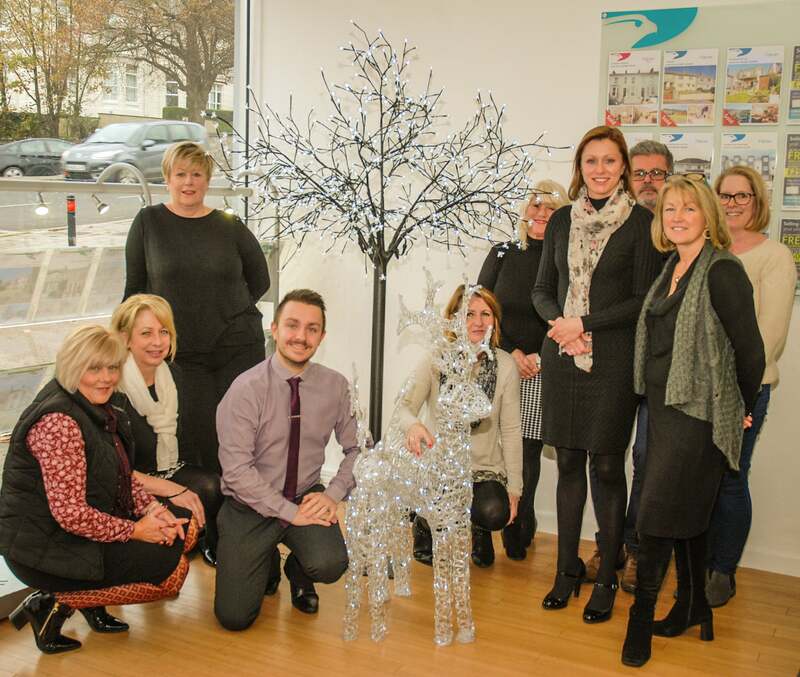 Could your Plymouth Garden Win £100?